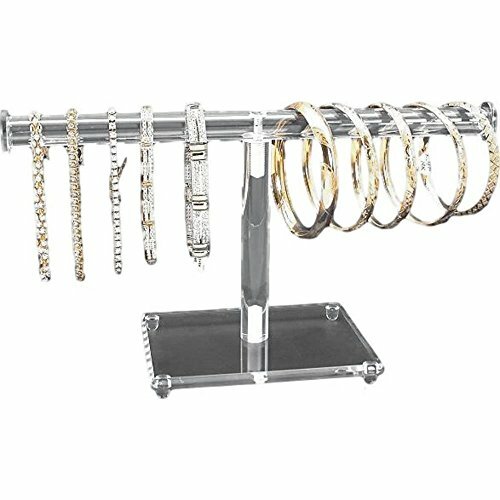 Bracelet Holders are excellent choices for your jewelry store, as they help you to showcase some of the most beautiful and elegant bracelets to your target audience. 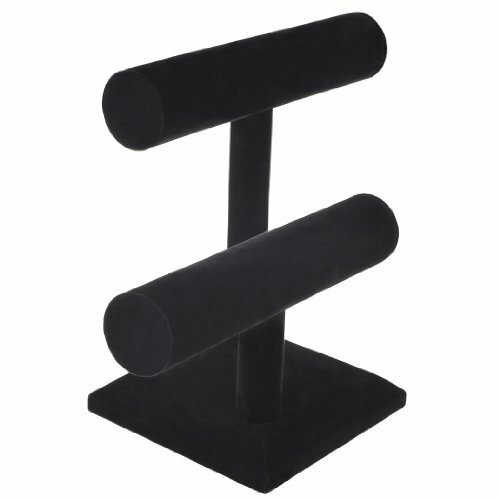 You don’t need to worry about the style of your store, as the variety of holders enables you to find the item that caters to your needs and matches your preferences. 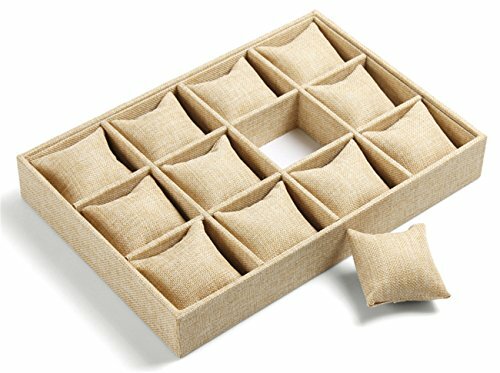 So no matter that you want to get something that looks simple, or something that brings a modern touch to your store, as you’ll definitely find it here. 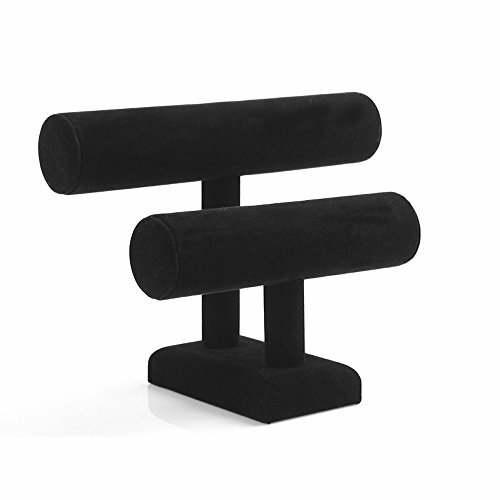 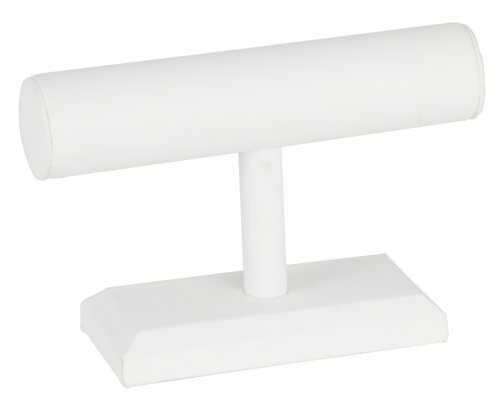 The bracelet holders in our selection vary in size, shape, design, style, material, color and features. 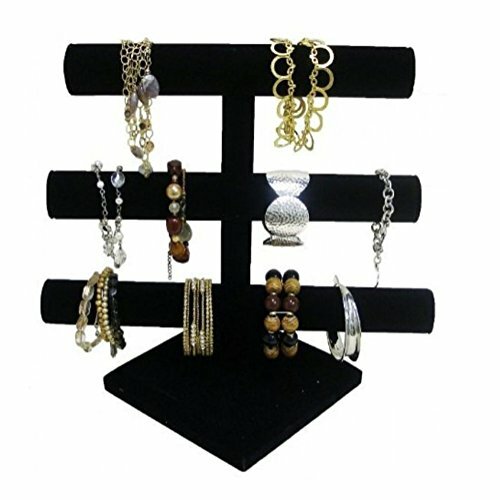 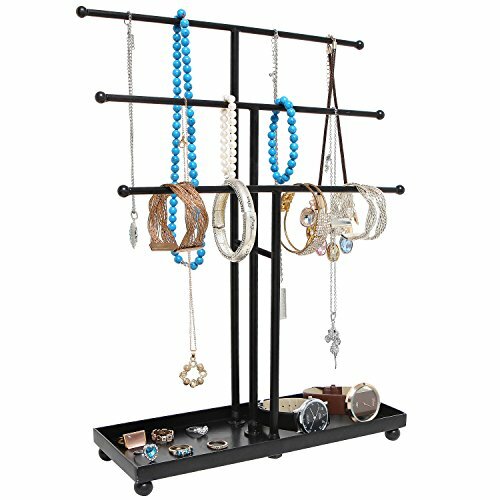 Some of the models that you’ll see here include bracelet display tray, tiered bracelet display stand, removable tier display rack, half-moon bracelet display stand, bracelet T-bar display stand, bracelet display tray insert, bracelet hanger, bracelet ramp, bracelet pouch, bracelet display case and others alike. 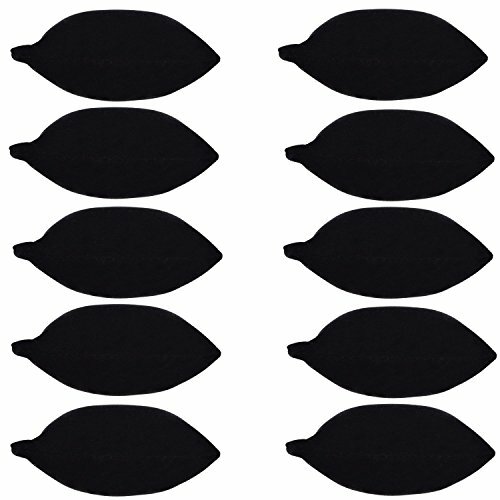 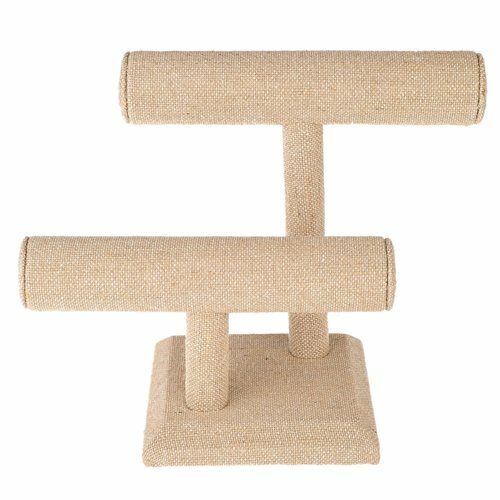 The materials used also vary, depending on the model, so you can find bracelet holders made of wood, plastic, stainless steel; covered in velvet, linen, burlap material and others. 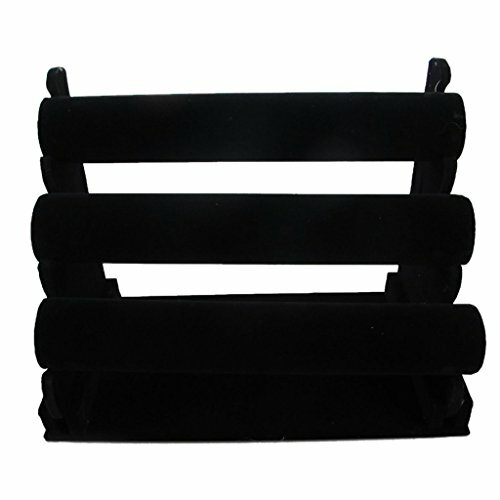 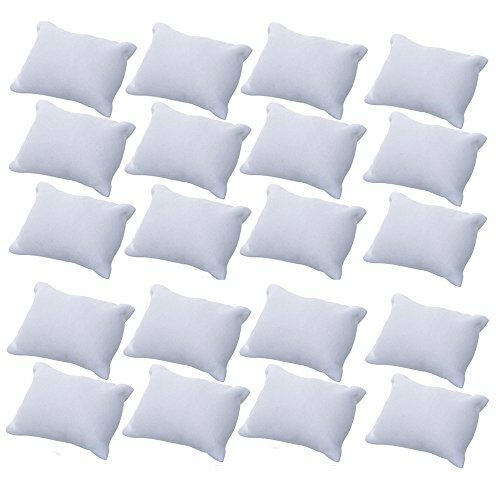 Talking about the color, there is also a variety of choices, including black, white, gray, rosewood finish, beige and others. 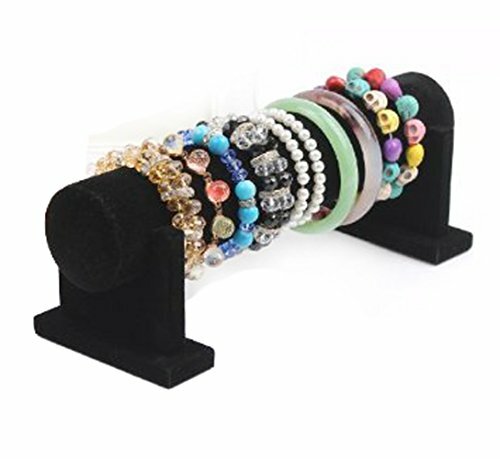 Other aspects that you need to pay attention to, include the place where you want to use the bracelet holders, the number of bracelets that you need to display on a single holder, the style that you are looking forward to getting and others. 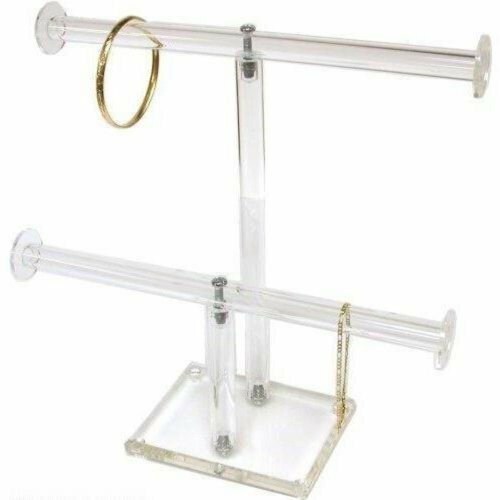 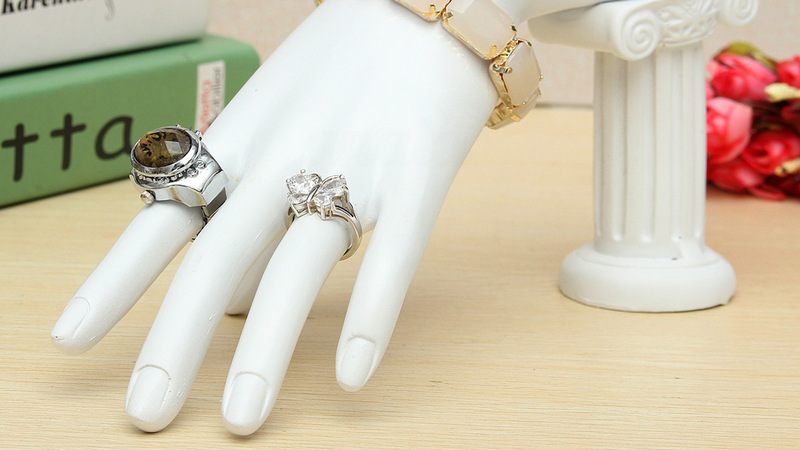 For example, if you want to use tiered display holders, you should think about the number of bracelets, so you can choose between two tier and three tier bracelet holders. 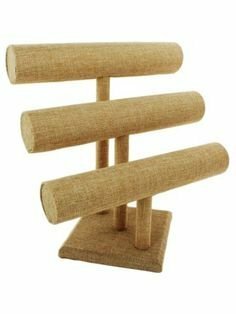 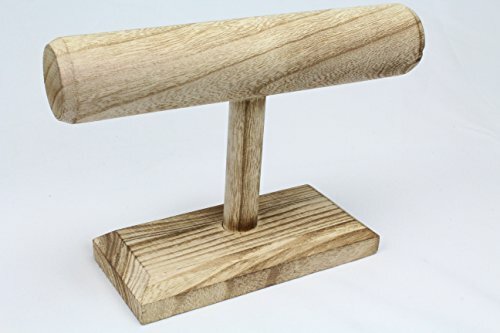 Other criteria are the place where you want to use them, as some of these holders look better in a storefront window, or in a display case, whilst others do a great job on the shelf or countertop. 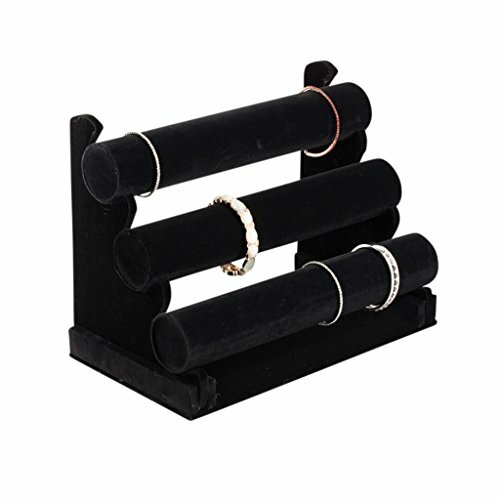 You can also find some bracelet holders that are excellent for drawers, such as display trays.